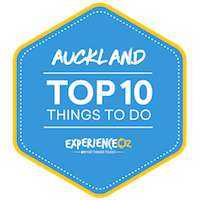 As the largest city in New Zealand, as one might expect there is no shortage of things to see and do around the highly-liveable Auckland. A visit to this popular and picturesque harbourside destination on the country's North Island will open up a world of opportunities, with a variety of scenic landscapes that are all reachable in a fairly compact region in and around Auckland and its outskirts. The city of Auckland itself offers various activities that range from the extreme to the relaxing, with cruises and adventure activities all located within convenient distance of most of the major accommodation facilities in the city centre. Regardless if you are looking for the buzz of urban bustle, relax and soak in the scenery or kick everything else into high gear by taking part in the range of available adventure activities, Auckland has something for all ages and personality types. If you're a first-time visitor to Auckland looking for essentials for filling your itinerary, we break down 10 of the top things to do in Auckland & surrounds in detail here. A stark contrast to the raw volcanic spectacle of Rangitoto Island is Tiritiri Matangi Island, a veritable showcase of NZ wildlife that has been painstakingly repopulated with selected species of native birds that has now paid off, creating a sort of “open zoo” that also happens to be rich with scenery, history and intriguing architecture at the same time. Bird life aplenty is the name of the game on Tiritiri Matangi, and you don't have to be an avian fanatic to appreciate the sheer diversity of species that can be found here, each adding their own distinct call and splash of individual colour to the environment. All you have to do is take a stroll down one of the walking tracks and you'll see – and hear – the likes of saddlebacks, New Zealand pigeons, whiteheads, bellbirds and takahe on all sides, with plenty of sugar feeding stations and water troughs to attract the birds, bringing them out of the woodwork and making getting a clear look at them a breeze. Tiritiri Matangi Island has been designated as a “pest-free” zone meaning that it is completely devoid of predators that could have a negative impact on the birds and their food sources. As a result, many endangered species now call the island home, and after years and years of planning, may use it as a stepping stone towards increasing their numbers. Birds are far from the only highlight of the island, however; as a place that's got a fairly colourful combined Maori and European history dating back to over 600 years ago, there are still examples of their impact that are standing to this day – the most prominent of which is the island's lighthouse. Built back in 1864, Tiritiri Matangi Island's lighthouse is the oldest still-functional lighthouse in NZ, and is in remarkably good condition. "Bird life aplenty is the name of the game on Tiritiri Matangi, and you don't have to be an avian fanatic to appreciate the sheer diversity of species that can be found here, each adding their own distinct call and splash of individual colour to the environment." Nature stands out in other ways on the island as well; the island has been heavily revegetated and features a huge number of native plants – reflective of the amazing effort by volunteers who have taken the time to plant somewhere over 280,000 trees – which can be enjoyed along any of the walking tracks you choose to explore. The trails are extensive and are suited to all fitness levels while also being well-maintained with plenty of stops and feeding stations to break up the journey and ensure there's always something to look at along the way. Perhaps the only downside is that there are no places to eat on the island (a necessary evil for its conservation efforts), so be sure to pack lunch and some drinks for your trip to this oasis of natural beauty. Getting to Tiritiri Matangi Island from Auckland is doable via cruise with 360 Discovery Cruises but also restricted; to limit the impact of mankind, the number of trips per week is strictly limited, so you'll likely have to book several days in advance to ensure you're able to get a spot on the journey over. The trip takes about 1.25 hours from Auckland (and the boat ride is a picturesque adventure in itself) and is mostly smooth-sailing all the way. If you're looking for one of the best living examples of the efforts of modern conservation in action, then you'll soon see why Tiritiri Matangi Island is well-deserving of the title of Top Place to Visit in Auckland. If you've ever seen a picture of postcard of Auckland, one of the first feature's you've undoubtedly noticed is the city's impressive Sky Tower structure standing proudly over the rest of the city skyline. As New Zealand's tallest man-made structure at an impressive 328 metres, if you're after some epic views then the Sky Tower should be the first stop after you touch ground in Auckland. All it takes is an entry ticket and a quick ride in the (partly glass-bottomed!) lift (that's an “elevator, for our U.S-based readers), and you'll find yourself high above the city on the spacious viewing deck. The harbour and the buildings of Auckland take on a whole new life when viewed from this high up, and it's also perhaps the best spot in the greater Auckland region from which to take in a sunset, as the changing lights combine with the gradual turning-on of the city lights to form a wonderful spectacle. Just below the main viewing deck is a floor with a revolving restaurant that makes for one of the most exclusive – and visually stunning – dining experiences in Auckland that's open for lunch, high tea and dinner. The dining area rotates once every 60 minutes which will allow you ample time to take in each individual angle, provided you're not too caught up in the delicious array of food. With a focus on modern, kiwi-influenced a la carte food, the menu is comprehensive and of a generally high quality; plus, where else in the world can you enjoy a tasty bite to eat while watching people plunge off the side of a building? "As New Zealand's tallest man-made structure at an impressive 328 metres, if you're after some epic views then the Sky Tower should be the first stop after you touch ground in Auckland." This isn't some kind of a depressing suicide reference, as the Sky Tower isn't just a viewing platform – it also serves as one of the focal points for adrenaline that Auckland has to offer, with the record-breaking SkyJump one of the region's most popular activities for thrill-seekers both locally and abroad. Those with cast-iron stomachs (and bladders) can perform a base jump off a platform on the side of the tower and speedily drop 192m straight down towards the ground (while equipped with a flying suit and body harness, of course). That's around 10 seconds worth of free-fall before you land gentle in the awaiting Sky City plaza below – not bad. For a similar yet more laid-back alternative, the SkyWalk experience may suffice. This option will let you traverse the Sky Tower from outside the glass on a 1.2m wide walkway that has absolutely NO railings or handles while your guide makes several stops along the way to point out key regional highlights and facts. You'll also have the opportunity to lean over the edge, supported only by your harness! Regardless of if you're going for views, dining or to get the blood pumping, the Sky Tower is another of Auckland's essentials. A volcanic island typical of New Zealand that sits majestically just off the coast of Auckland and boasts a rare, distinct landscape consisting of rugged lava crops, lush native bush and golden sandy coves, Rangitoto Island makes for an amazing little escape just a short distance from the city itself. Well worth the short ferry ride it takes to get there, once you've reached Rangitoto's shores you'll discover its many scenic natural highlights and take in a variety of panoramic views and impressive natural formations that only add to its charm. Be sure to bring your hiking boots along for the journey, however as there'll be a lot of trekking on the sometimes-uneven volcanic landscape for you to get the best out of the island's various scenic viewpoints and trails. It's this volcanic landscape that helps to make Rangitoto Island particularly unique; lava caves, pillars, tunnels and fields add an eerie character to its geology, and all serve as lingering reminders of the island's explosive origins. You'll also likely want to make the hike up to the island's summit, which is a journey that isn't too strenuous and which provides views looking back at Auckland which are entirely worth it, especially if the weather is clear. "Well worth the short ferry ride it takes to get there, once you've reached Rangitoto's shores you'll discover its many scenic natural highlights and take in a variety of panoramic views and impressive natural formations that only add to its charm." Prepare to spend from 45 minutes to an hour to reach the top, however there are a number of benches and resting places along the way should you wish to pause and rest. It can also get quite hot, as there is minimal cover and the reflection of heat from the lava fields can make things warm in a hurry, so be sure to bring plenty of water and pack on the sunscreen, particularly in summer. Rangitoto has an almost alien, other-worldly landscape that is a change from many of the other experiences in New Zealand, and its lava caves are the epitome of this; their moon-like surface and walls are highly interesting, and fun to explore with a torch, while the crater of the volcano itself is full of greenery rather than spitting out sulphurous gases. If you're looking to get to Rangitoto Island from Auckland, you can either catch the ferry which departs every hour or so from Auckland's terminal, or book a tour with Fullers that will take you for a more in-depth look at the island, with the chance at even getting an entertaining series off-road 4WD adventures into some of the more untouched areas of the island. Want to experience what it's like to visit another planet without all that strenuous astronaut training? Raingoto Island is your destination of choice. For an affordable – yet no less impressive – attraction in and around Auckland, you can't go wrong with a visit to the historic and comprehensive Auckland Museum. The museum features a nice blend of both Maori and European historic influences which reflects Auckland's background as a whole, with a wide range of exhibits on offer. Its key focus is the Maori and Pacific Island collection, which provides a touching inside look at the trials, tribulations and artistic achievements of both of these proud peoples. Polynesian art and artifacts in particular are intriguing to see, and its Pacific Masterpieces section on the ground floor showcases some of these at their best – it's hard for us today to believe that these people navigated the Pacific Ocean in mere canoes! Many of the pieces here are exceedingly rare and well-preserved examples of their craftsmanship, from the outrigger canoe Vaka Tapu to the Malagan mask Kovabat si mi Marada. "The Museum's key focus is the Maori and Pacific Island collection, which provides a touching inside look at the trials, tribulations and artistic achievements of both of these proud peoples." War also plays a key part in the museum's displays, and there are a variety of interesting exhibits detailing New Zealand's involvement in various wars that are on the whole very well curated. These exhibits and galleries go into greater detail on World War I and World War II in general, while specifics on the likes of the Spitfire aircraft and a moving tribute to victims of the holocaust also feature. Natural history also feature significantly in the displays as both New Zealand's history of fauna (the giant Moa bird plays a key role) as well as geological development (think volcanoes and volcanic activity) are covered here. When visiting the Auckland Museum you'll have the choice of both exploring yourself or taking a guided tour which can provide more in-depth information on some of the sections for which information can sometimes be lacking – although at an extra cost. However considering the sheer variety of things on display here, it still represents wonderful bang for your buck if you spend a reasonable amount of time in the museum. Lastly, a tip of the cap must be given to the park which the museum is found in – it's a stunning place in and of itself that, coupled with the architectural style of the building, adds yet another reason to pay Auckland Museum a visit. One of New Zealand's most inspiring yet organic wildlife encounters comes courtesy of the expansive and wildlife-rich waters that surround the harbour city. Hopping on a vessel and heading out from Viaduct Harbour provides opportunities for exploration of the expansive Hauraki Gulf Marine Park - one of the most biologically and geographically diverse marine parks in the world that coves an area of over 4,000 square kilometres. 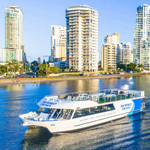 Local operator Auckland Whale & Dolphin Safari are a family-owned business running since 2,000 that provide highly-regarded journeys through this diverse marinescape, with tours that run directly from a convenient departure point at the city centre. Focused around walking the fine line between tourism and conservation and doing it well, the company offers trips that encompass viewings of a wide array of wild mammals and seabirds amongst their natural surrounds. The company has an eye towards conservation efforts in a practical sense, as well; contributions from passenger bookings go back towards conservation efforts, with staff knowledgeable marine researches who boast an incredible amount of both passion and information on this slice of New Zealand's waters. Focused around walking the fine line between tourism and conservation and doing it well, the company offers trips that encompass viewings of a wide array of wild mammals and seabirds. As a result, it's not merely the sightseeing and animal spotting that makes these trips enjoyable - they also take a highly informative and educative angle that's all conducted with good humour and fun without ever coming across as boring or preachy. Sights there are aplenty, however - the Hauraki Gulf Marine Park serves as home to almost a third of the world's populations of southern hemisphere marine mammals which have been identified in its waters. This translates directly into high chances to animal spotting, with marine sightings of whales, dolphins and more all extremely frequent. In addition, as opposed to standard whale watching tours, travellers with Auckland Whale & Dolphin Safaris will also have the chance to spot rarer species of whales - such as Fin and Blue Whales - rather than the more standard humpback-only sightings most other whale watching tours in Australia and New Zealand offer. Tours are conducted aboard their spacious and comfortable vessel, which provides ample viewing space and room for sitting outside. It's the staff that help make it special, however; they're extremely friendly, passionate about their source material, and always happy to answer any questions that may pop up from passengers. Overall, this is an ideal experience for visitors from abroad or locals alike - and any locals who have not yet hopped on board and enjoyed this experience should make a note to give it a go in the near future. You'll be surprised at the diversity which surrounds your city. Auckland's harbour is an impressive feature in and of itself, and its bridge plays a big part in adding to the area's charm. Consisting of 8 car lanes and spanning the gap over Waitemata Harbour from St Mary's Bat to Northcote, it's the NZ north island's longest road bridge and the second biggest in the country. It's a common saying by Auckland residents that the pain of the everyday commute is eased greatly by the spectacle of breathtaking views, and its here that the bridge shines offering a different vantage point of the city that looks even better in person than on postcards. Auckland's got its reputation as being the “City of Sails” to live up to, and from the bridge its easy to see why; from the top, you'll have a direct view to the city's marina where boats of all kinds can be seen sailing on the beautiful waters as well as the city skyline. Looking at the bridge from elsewhere is also pleasant; its got a design that, while not as spectacular as some of the others from over the world is still pleasing to the eye, dominating the waterline with its sleek looks. "It's a common saying by Auckland residents that the pain of the everyday commute is eased greatly by the spectacle of breathtaking views, and its here that the bridge shines offering a different vantage point of the city that looks even better in person than on postcards." If you're looking to get the best possible photographic shot of the bridge, you'll want to view it from a boat. In the end, it can basically either be seen as an impressive feat of architecture and engineering, or “just a bridge” depending on whether you're the glass-half-full or half-empty type. One of the true highlights of the bridge however is that it offers visitors the chance to participate in a climb experience with Auckland Bridge Climb by AJ Hackett that will allow you to harness up and join your fellow climbers to see the harbour from one of the best available angles. It's a distinctive way to mark your time in Auckland, with the climber-guides offering up some informative and entertaining commentary over the course of the 1.5 hour adventure. Once atop the bridge you'll be privy to some wonderful, uninhibited views of local landmarks such as Waiheke and Rangitoto Islands, the harbour and the city itself. More than “just a bridge” (we're the “glass-half-full type), the Auckland Harbour Bridge is a big part of both the city and its sightseeing offerings as a whole. The largest collection of wildlife exhibits in all of New Zealand can be encountered at Auckland Zoo – one of the most acclaimed zoological venues in the entire southern hemisphere. Friendly and knowledgeable staff, an always-improving environment for the animals and an ever-changing variety of weird and wonderful creatures on display throughout the year ensures that families will have a great day out. A winner of numerous national and international environmental awards, the zoo is home to over 750 animals comprised of 120 different species and set in comfortable park-like surrounds with highly authentic animal environments that ensure the creatures are comfortable, active and easily viewable. Auckland Zoo benefits from a logical, well-planned layout that makes getting around to see the various animals a breeze, and unlike many other zoos it's built on fairly flat ground that can go a long way to saving your legs (and those of tired kids) while walking around for several hours. The diverse array of animals here is impressive; as well as local icons such as the Kiwi bird, the exotic varieties on display that include the likes of elephants, lions, giraffes, zebras and more go a long way to rounding out the experience. "Friendly and knowledgeable staff, an always-improving environment for the animals and an ever-changing variety of weird and wonderful creatures on display throughout the year ensures that families will have a great day out." The sheer number of animals means that you'll likely get a full day's entertainment out of your visit assuming you take it easy and don't rush, and it's easy to fill in any empty gaps by visiting one of the numerous zookeeper talks that take place throughout the day (varying throughout the week) and feature everything from the giraffes, to orangutans to the Galapagos tortoise. Carefully planned, reasonably priced, well-maintained and easily accessed from most central accommodation, Auckland Zoo provides a great opportunity to see a large variety of animals for all visitors to the city at a reasonable price (particularly if you bring your own food along with you). If you've ever wanted to see the Kiwi up close and fulfil that most “NZ” of experiences, this place is a must-visit. 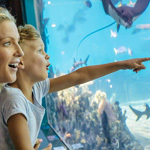 Just outside the Auckland CBD is the area's popular SEA LIFE Kelly Tarlton's Aquarium the card-carrier for the area's aquarium offerings and the home of New Zealand's only collection of sub-antarctic penguins and many other species of interesting marine wildlife. The penguins exhibit in particular offers an experience that is fairly interactive, as many of them will actually approach the standing area as long as you're still enough and don't scare them off. If penguins are particularly your thing, there's also a special (optional) Penguin Experience that will take you on a behind-the-scenes aquarium tour and get out on the ice yourself. A great option for those with kids in particular, there's a pretty good variety of marine life on display here, as along with the penguins themselves you'll also find giant stingrays gliding through the water, turtles, sharks, giant mantas and plenty of other amazing deep-sea creatures. "A great option for those with kids in particular, there's a pretty good variety of marine life on display here, as along with the penguins themselves you'll also find giant stingrays gliding through the water, turtles, sharks, giant mantas and plenty of other amazing deep-sea creatures." Depending on the crowds – it's ideal (although obviously not always possible) to avoid school holidays – you'll likely want to spend anywhere from 2 – 4 hours here for the exhibits alone, while there is also a regular lineup of shows, feeds and talks from 11:00am in the morning through to 3:30pm in the afternoon that can extend the experience even more. Facilities are generally quite good as well, in particular the shark-themed mini bus which will take you from the quay which can save both your legs and your energy. Kelly Tarlton's sits right on the water of Auckland's Okahu bay, making it highly accessible and easy to get to in around a 10 minute drive from the CBD. A day out at Kelly Tarlton's provides a great marine experience that serves as a fun and entertaining wet-weather day alternative to the likes of Auckland Zoo (see below). This landscaped park centered on the volcanic cone of Auckland's One Tree Hill is spectacular for many reasons outside its well-kept natural features and provides a lovely and relaxing escape from the rush of urban life in the city. Simply put, Cornwall Park is huge; its filled with walking tracks, oak trees, livestock grazing in various spots (particularly sheep, of course – sorry Kiwis) with great public barbecue facilities and even lingering examples of Maori architecture. It's clean and provides a more-than-adequate dose of fresh air, and it's a beautiful place to visit in spring when the flowers of its various trees are in full bloom – and perhaps best of all, unlike many of the other things to see and do, it's entirely free. The park is steeped in history, being named after the Duke and Duchess of Cornwall back in 1901, and with an even longer Maori influence dating back to as early as the beginning of the 1700s, and many markers and items remain that serve as signs of both of these to this day. There is a large Rongo stone set in a plinth near the main BBQ area which is a relatively rare remnant of a Maori shrine, while the site is still home to some ancient paths which can be seen in several places and served as access for defense by its inhabitants in the past. "Simply put, Cornwall Park is huge; its filled with walking tracks, oak trees, livestock grazing in various spots (particularly sheep, of course – sorry Kiwis) with great public barbecue facilities and even lingering examples of Maori architecture." The park also contains a fine restaurant that allows guests to dine amongst these serene and significant surroundings and take a break with some tasty cuisine for breakfast, lunch or tea. There's also a huge amount of space for a picnic, and even on the most crowded of days you'll likely be able to find yourself a little slice of this oasis to plonk down a blanket and cook yourself up some sausages or steaks on the gas grills. A playground for kids will keep the little ones occupied should you choose to kick back and read a book laze in the shade, and it's a haven for the fitness-conscious as well with plenty of tracks and laneways ideal for a job amongst all the greenery. Lastly, you'll want to make the effort to ascend to the top of the volcano at some point, as like with many other places on this list Cornwall Park offers its own distinct vantage point to take in the local highlights such as Rangitoto Island and the city. Cornwall Park has something for everyone to interest them on their visit to Auckland, whether they be kids looking for fun, history buffs, nature aficionados or those who simply want to garner another great outlook on the city. While its claim to fame is being the highest volcanic peak in mainland Auckland, it's the views from the top that make a visit to Mount Eden worth the time and effort. With a summit that stands 196m above sea level, the peak is the perfect spot from which to take in an impressive 360 degree panorama of Auckland and its charming harbour that is ideal for photo opportunities for the visiting traveller. As a dormant volcano, Mount Eden takes on a little more individual character than the standard “overlook point that can be found in almost every city” by giving those who ascend to the top the chance to look directly down into the crater of a volcano – a relative rarity in similar situations. 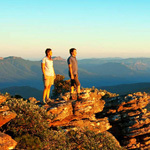 Getting to the top does require a bit of individual physical effort – many tour buses won't take you there – however it's well worth the exercise and the view is equally impressive whether you make the trek in the day or at night (where the city lights on the harbour make for a wonderful sight). "With a summit that stands 196m above sea level, the peak is the perfect spot from which to take in an impressive 360 degree panorama of Auckland and its charming harbour that is ideal for photo opportunities for the visiting traveller." There are several ways to get to the top, with the less strenuous options also tending to take quite a bit longer than the steeper yet more direct paths, so you'll likely be able to find a way up that strikes the best balance between time and your fitness level. There's also a large compass at the top which points out the relative directions of other landmarks and cities to give you an idea of where you're facing and how far away you are from everywhere else in this part of New Zealand. Perhaps the only negative is that – much like any other high altitude location in New Zealand – it can get quite cold and windy during the cooler months, so be sure to bring adequate clothing. In all, Mount Eden is one of the two essential lookout points in Auckland (and the only natural one) that are essential items on any itinerary, and it makes for a good first port of all for a mini-day-trip.